Located in the heart of the Old Town of Ohrid, the Church of St. Varvara is a beautiful sacred monument which tells a lot about rich history and culture of Macedonia and Macedonian people. 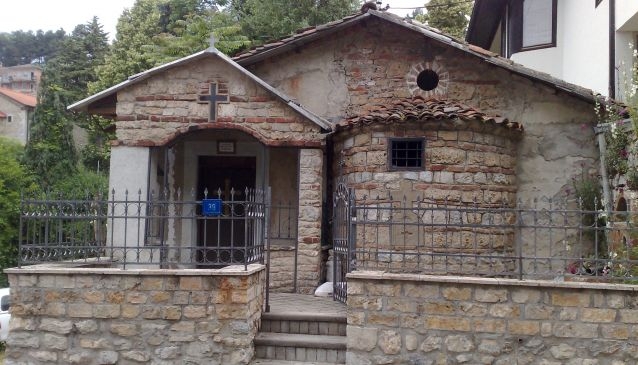 If you decide to visit Ohrid and enjoy all beauties it has to offer and see all splendid places, then put the Church of St. Varvara on your list of buildings you need to see and enjoy quality time there. The church was built in 1965 and it represents a small but very beautiful Orthodox church made of stone. The interior of the church is outstanding, there are colourful paintings and valuable icons that deserved to be seen. The Church of St. Varvara is very easy to find, you only need to follow the Ilindenska Street which heads towards the Upper Gate of the Samuil Fortress. The Church of St. Varvara is next to the entrance of the popular Ancient Theatre.